The folks at the Union Square DSW in San Francisco invited some of San Francisco's local bloggers to attend an intimate lunch, shop, and hear a fall style presentation. With so many stylish gals in attendance, I couldn't help but snap some pics of what these trendsetters are wearing on their fingertips. 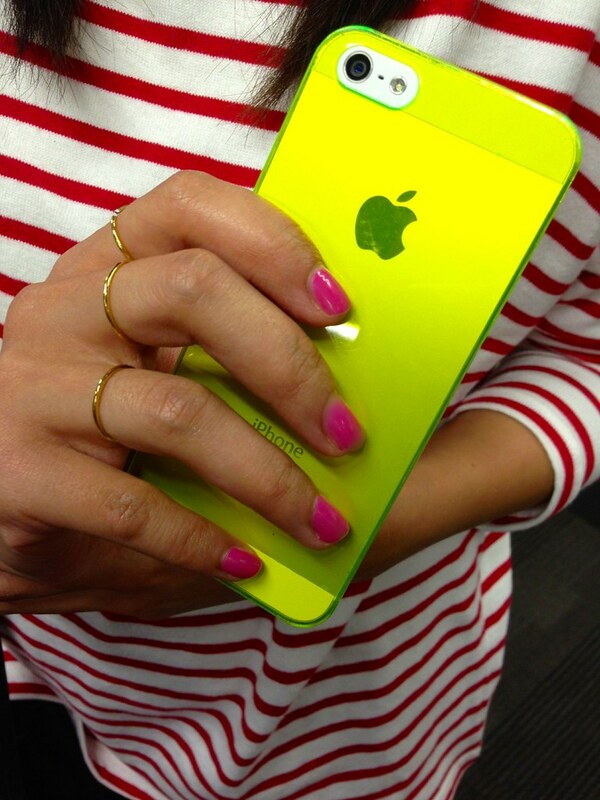 Read on to see what SF's style-minded are wearing right now. 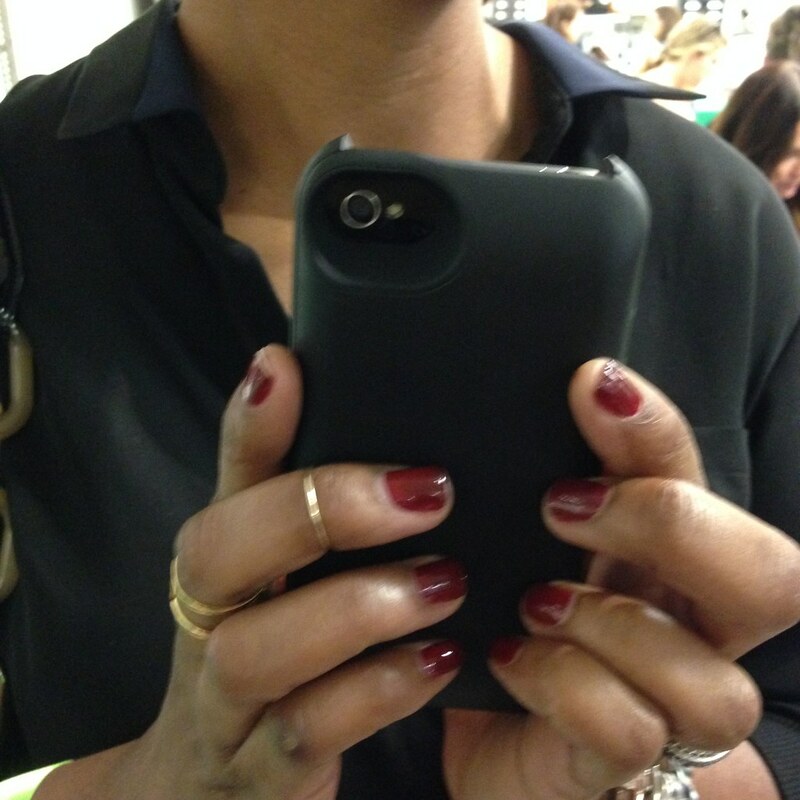 Angie of Stylishly Uncorked is rocking a dark hue that compliments her Alexis Bittar ring brilliantly. 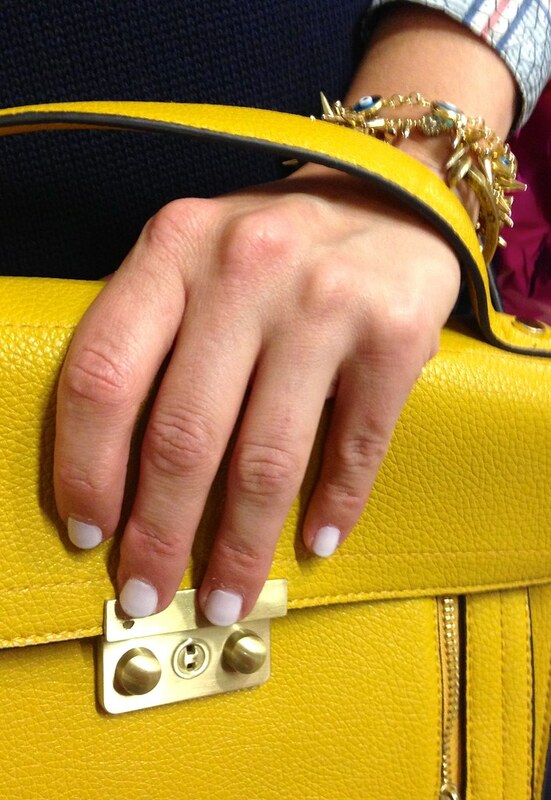 Kate of The Fancy Pants Report rocks a pastel skittle manicure on her stiletto tips. Both Jessica of Ryzenberg On (top) and Elise of WTFab (bottom) were donning crisp white lacquer on their phalanges. Maria of Kitties + Couture and Kim of J'Adore Couture wore very fall-worthy burgundy hues. 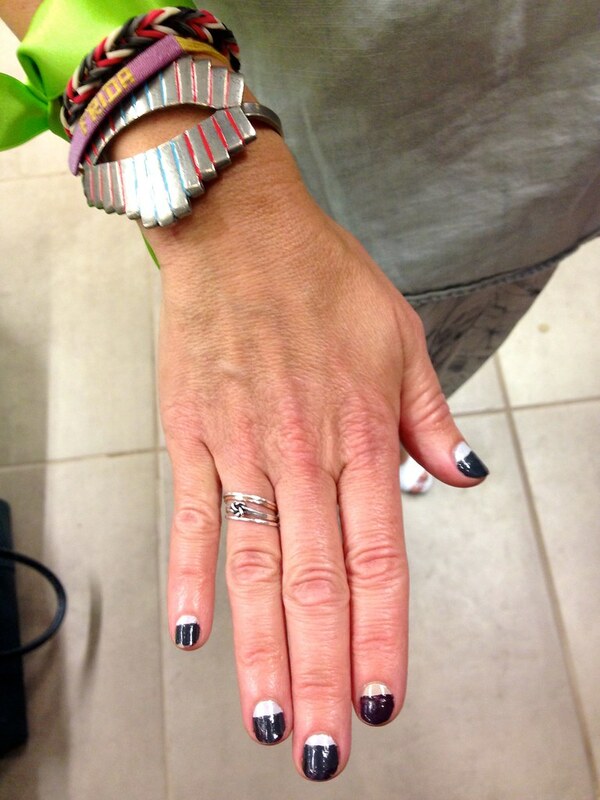 Jeanne of Shop Sweet Things rocks a flirty pink polish. 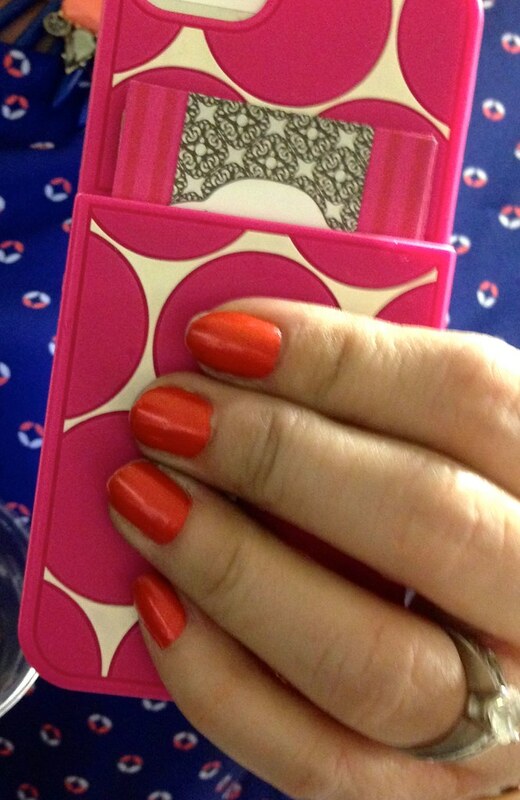 Melissa of Savvy in San Francisco sports the tangerine polish from her latest Birchbox. 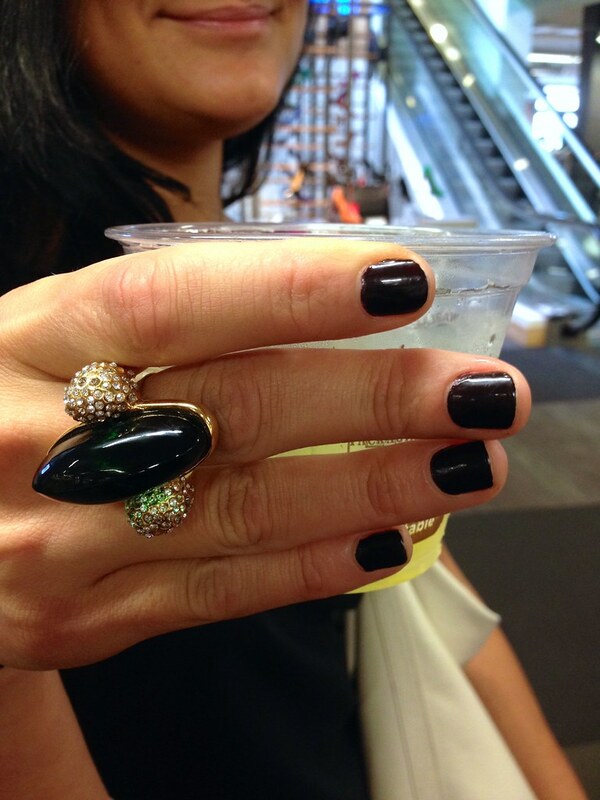 Kristen of Stylenik and Racked SF showed off a trendy monochrome mani. 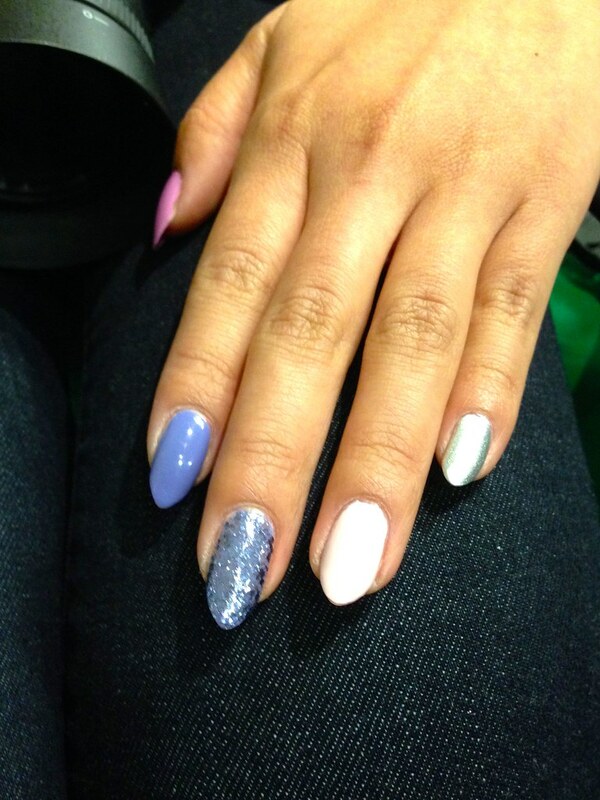 Finally, the stand-out of the day had to be Santina of Style by Santina with her polka dot gradient nails. 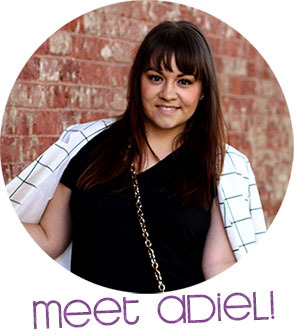 Yayy such a fun post!